Below are unique tech products that don’t fit into any of our other categories. From smart beds to ID controlled dog doors, most of these items use technology to expand new functionality into a common pet product. 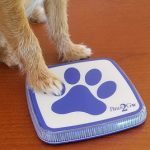 Paws2Go is a communication device that allows your dog to notify you when he has to go outside. Train your dog to touch the device when they need to go outside. When activated, the device flashes a blue light, plays a recording of your voice and sends an alert to your smartphone. 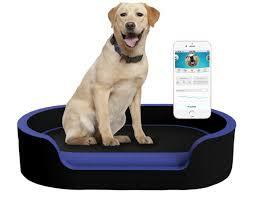 Petrics is creating a smart bed that will track your pet’s weight and activity. The bed will also have a climate control feature. 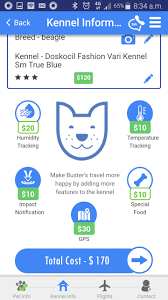 This data will connect to the Petrics pet health app on your smart phone. The free app is already available and contains pet food & dietary info, FDA recall alerts and a scheduler. 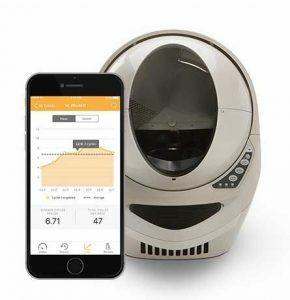 Tailio is a smart litter box – actually a device that sits under a standard litter box and tracks your cat’s weight, frequency and times of their toilet trips. This data is sent to an app which will alert the pet parent to changes in behavior or other causes of concern. Petwalk is a custom designer of dog and cat doors. Not a simple flap, the doors are high quality and can be installed into walls, glass and human doors. 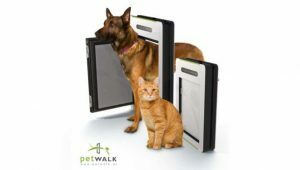 Petwalk doors open and closes electronically via an RFID chip attached to your pet’s collar. The door is also lockable and equipped with an alarm system. Litter-Robot is a self-cleaning litter box that can connect to your iPhone. G.O.A.T. 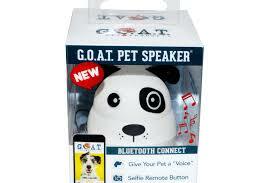 (Greatest Of All Time) pet speaker is a small sound speaker designed for dogs, cats and birds. The device can be attached to your pet’s collar and streams music via Bluetooth. The speaker comes with an app that runs on your smart phone. The speakers were featured on a January 2018 episode of Shark Tank, where Robert Herjavec ended up investing $499,000 for 33% of the business. 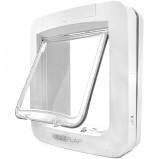 SureFlap is a pet door designed for cat’s and small dogs. The door connects to a microchip on your pet’s collar to provide security and to allow monitoring of activity. The door can be remotely locked or unlocked via an app. 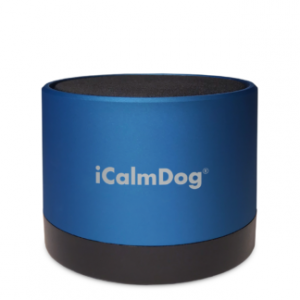 iCalm speakers play calming music for dogs and cats. 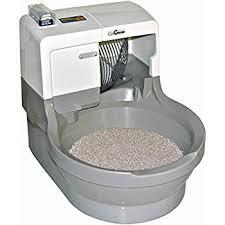 According to their website, CatGenie “acts like a cat box, cleans like an appliance and flushes like a toilet”. Instead of disposable kitty litter, CatGenie uses washable granules that are automatically cleaned instead of needing to be replaced. Digi-Pet is a system that allows pet parents to monitor their pet while it is in the cargo hold of an airplane. Through a combination of sensors in the shipping container/kennel, data such as video, temperature and sound can be monitored through an app. Pet parents can also use 2 way audio and video to communicate with their pet. This product isn’t available directly to consumers; rather, it is offered by an airline.